Happy Friday! 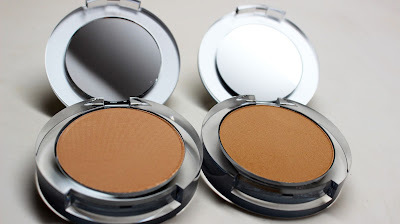 One of my favorite brands, PUR Cosmetics is celebrating its 10 year anniversary. 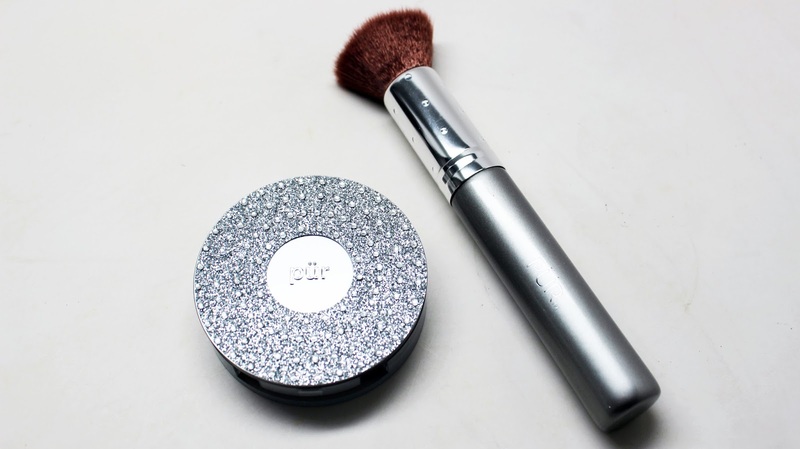 To commemorate the occasion, they came up with a limited anniversary edition of their 4-in-1 Pressed Mineral Makeup and Chisel Brush. 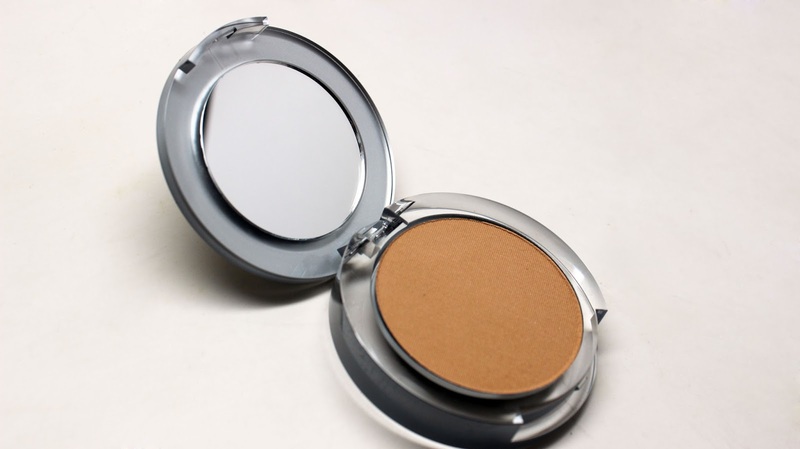 If you're in the market for an amazing powder foundation and you like some bling bling, you've gotta check this post out! This isn't my first run in with Pur Cosmetics 4-in-1 Foundation. Back in the day, when they were first called Pur Minerals, I was a huge fan of their pressed mineral foundation. I went through multiple compacts of my shade medium dark. 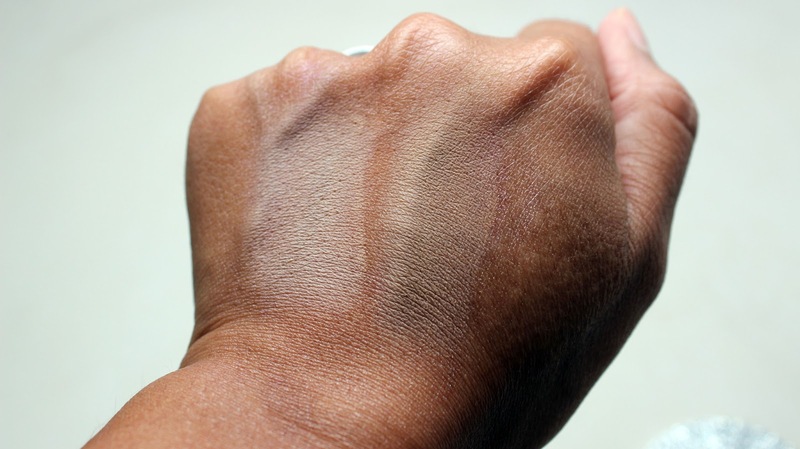 The foundation was perfect - great finish, great shade and went on smoothly with no mess. Recently, they released their new 10 year anniversary set. The compact is now silver and blinged out and even comes with a matching brush. This is definitely the kind of compact I'd like to pull out of my clutch for a touch-up. Not only does the compact look good, but it's very solid. It has a built in mirror and feels like it won't crack even if you check it in on an airplane. The brush itself also works really well. It's got the right amount of density - medium dense so that you can push product on your skin without it being too stiff too blend. The bristles are very soft and you can get medium or build up to full coverage. I was sent two shades: Golden Medium and Light Tan. I love their shade ranges...they have just enough of a yellow undertone and a brown base. As you can see from the swatches, these shades are unfortunately too light for me. Instead, I use them to set my undereye concealer to give a brightening effect. I'm about to run out and get my perfect shade medium dark however, because I forget how amazing this foundation is.